Welcoming a newborn into your home brings a lot of joy and excitement—but also a good amount of risk. 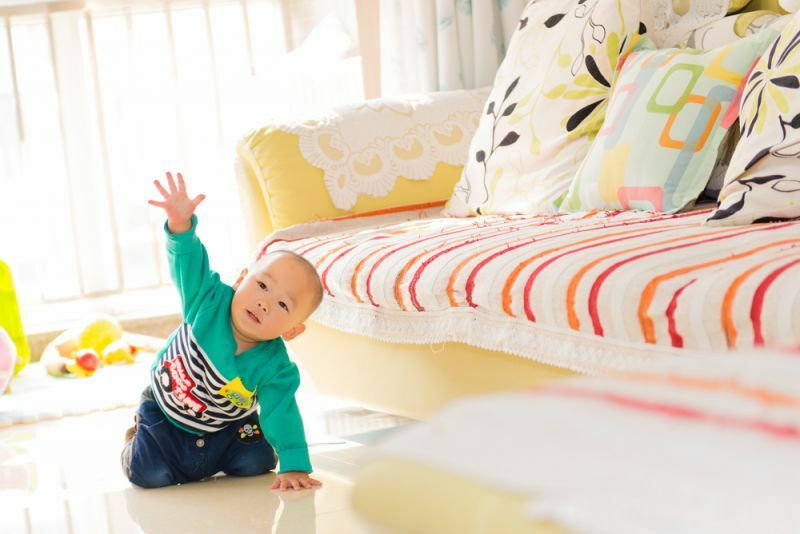 Many parents “baby-proof” their homes, meaning they cover sharp corners and block-off any areas that might cause their child to take a tumble. But despite these efforts, you can’t protect your baby against all danger. Accidents are bound to happen. Luckily, HealthGrove crunched the numbers and found the products that cause the most injuries to babies—most of which are found in the average home. The data comes from the U.S. Consumer Product Safety Commission, and each product is ranked by the average number of annual injuries to babies from 1997 to 2014. Power tools aren’t the only threats to infants. Non-power tools, such as screwdrivers and hammers, caused 7,313 injuries to babies in 2014. Carseats can often be unstable or strapped too tightly around babies, which are among the reasons there were 9,773 reported injuries in 2014. Sharp metal containers are shiny but risky to leave alone with small children. About 7,757 were the causes of injuries last year. Unstable televisions were the causes of 7,905 injuries to 0-2 year olds in 2014. From 2013 to 2014, there was a rise in injuries to babies involving silverware and tableware—12,337, to be exact. Linens caused 11,825 injuries to infants in 2014, an increase from the previous year. Toys caused 24,981 injuries to infants in 2014. Note: Our data source changed its product categorization scheme in 2009, resulting in the spike seen in the visualization. Babies were injured by cribs 13,846 times in 2014. Coins caused 12,422 injuries to babies in 2014, likely due to accidental swallowing. Injuries to babies from strollers have gone down from 2013, from 13,562 to 11,247 in 2014. Irons and heaters caused 12,524 injuries to infants in 2014, an drop from the previous year. Note: Our data source changed its product categorization scheme in January 2003, resulting in the spike seen in the visualization. Infants often want to put shiny objects in their mouths, and swallowing these items could cause a serious injury. Jewelry alone was the cause of 16,582 injuries to babies in 2014. Babies have suffered an average of 16K injuries from shopping carts every year since 1997. In 2014, the number of injuries dropped to 15,589. Cycling caused 13,407 injuries to infants in 2014, probably due to a baby seat on a bike malfunctioning or any other bike accidents involving a baby. Injuries suffered by babies in showers and bathtubs have remained pretty stagnant over the years, hovering between 20k and 25k annually. In 2014, there were 21,394 reported injuries. Playground equipment injuries have gone down in recent years—from 28,838 in 2013 to 25,457 the following year—but still remain relatively high. Though there probably isn’t much parents can do to shelter their children from walls and ceilings, they still caused 23,290 injuries to infants in 2014. Opening and closing doors without checking the surrounding environment can be harmful to babies. In fact, they caused about 46,888 injuries in 2014. Chemicals, such as paint and cleaning products caused more injuries (44,497) to infants in 2014 than the previous year. Prescription and non-prescription drugs caused harm to infants 42,073 times in 2014. Children risk falling on beds that are high off the ground. Injuries of this kind have been rising over the years, reaching about 155,122 last year. Babies also injure themselves more and more every year when they fall off or run into chairs and couches. About 130,168 injuries were recorded in 2014. Carpets and other flooring were the causes of 130, 168 injuries to babies in 2014. Stairs can be dangerous for everyone, let alone babies. These cause the second most injuries every year—91,088 during last year alone. It’s important to cover up any sharp corners and be wary of high furniture with a baby in the house, especially since these injure the most of any other product. About 102,301 0-2 year olds were injured in 2014. School District Bans Kids From Playing Tag!